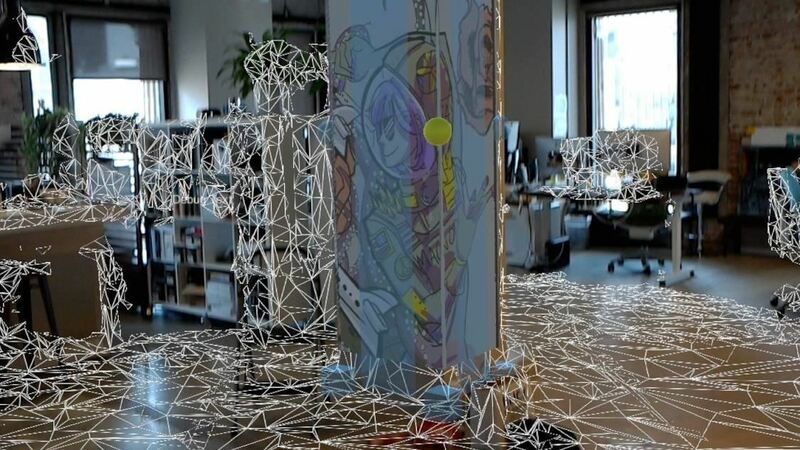 One thing you'll find a lot of in the Windows Store for HoloLens is demos and mockups, but very few projects are as fully realized and fully-functioning as Muralize. 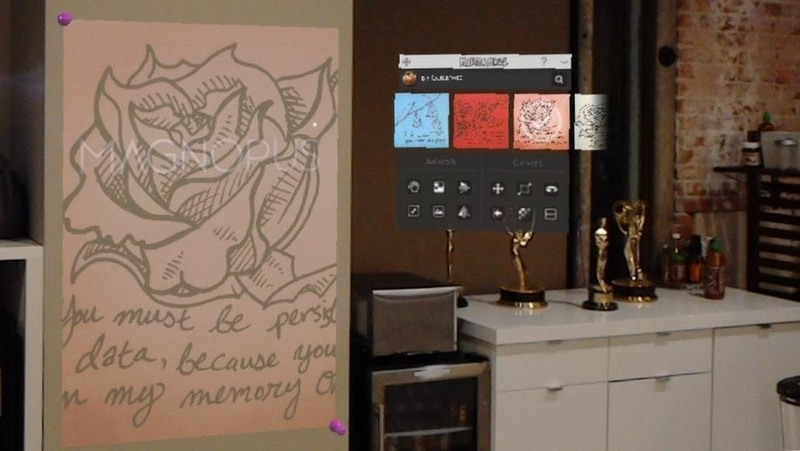 Created by Magnopus, an all-female development team, Muralize first appeared in the Windows Store in late-November of 2016, and makes it easy and fun to create real-life murals using a HoloLens. Personally, this app makes perfect sense. I can remember in high school using a projector to paint R.E.M. 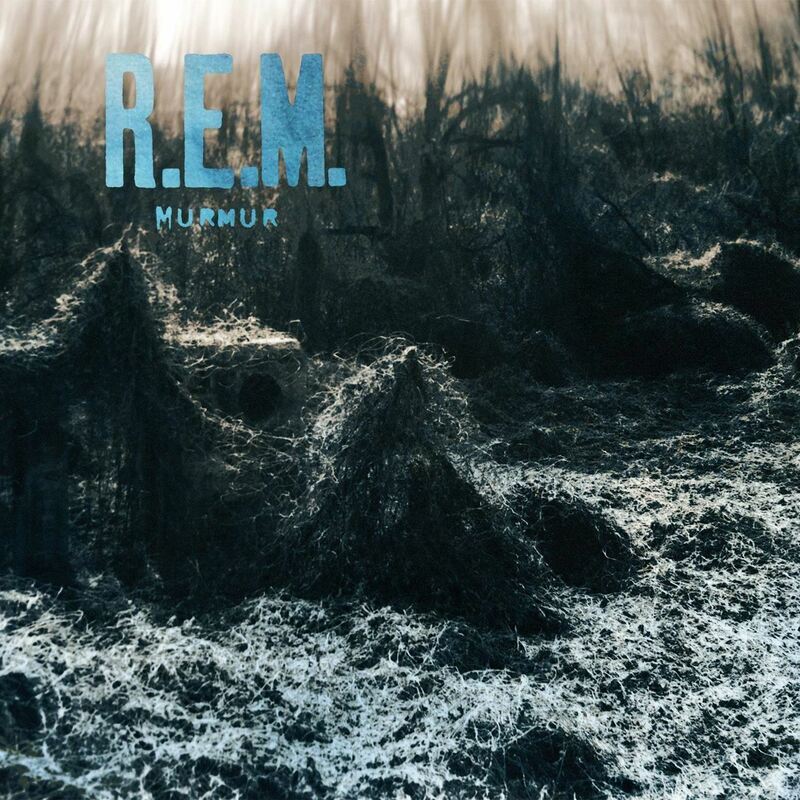 's Murmur album cover for an art project, and wow... an app like Muralize, in combination with the HoloLens, would have made that project a breeze. Project creator Sally Slade is the Lead Holographic Developer at Magnopus and has a background is in Computer Science. She's worked in the visual effects industry, the games industry, and is a hobbyist illustrator. She created Muralize with colleague Teresa Fitzgerald, an experienced UI/UX designer who Slade says played a key role in shaping the look and flow of Muralize. Slade told NextReality she considers herself a "a n00b!" but the app is, in our book, a useful and well-thought-out contribution to the small—but rapidly growing—circle of HoloLens projects. We talked to her at length about Muralize and Magnopus below. Her responses have been edited for clarity. NextReality: I see that Magnopus is a very art-centric tech company, which excites me personally. Where I am from, you either love art or love tech—they do not seem to collide often. Our mission has always been to conquer the constraints of the real world by other means. To overcome, to improvise, to adapt, and to do it while leaving no evidence we were ever there. NR: What inspired the idea of making an application to simplify the process of painting murals? Well, this was a cool story. One of the company owners became aware of my art hobby and asked if I'd like to paint a mural on a pillar in the lobby. I said, "hell yeah" and began sketching some ideas. Once I had approval on the design, I began to slowly recall the horror of everything I knew about mural-making: projectors, grids, tedium, frustration! And then I thought, "F that! I have a Maya licenses, Photoshop and a HoloLens right here!" and the very first (and most janky) version of Muralize was born. 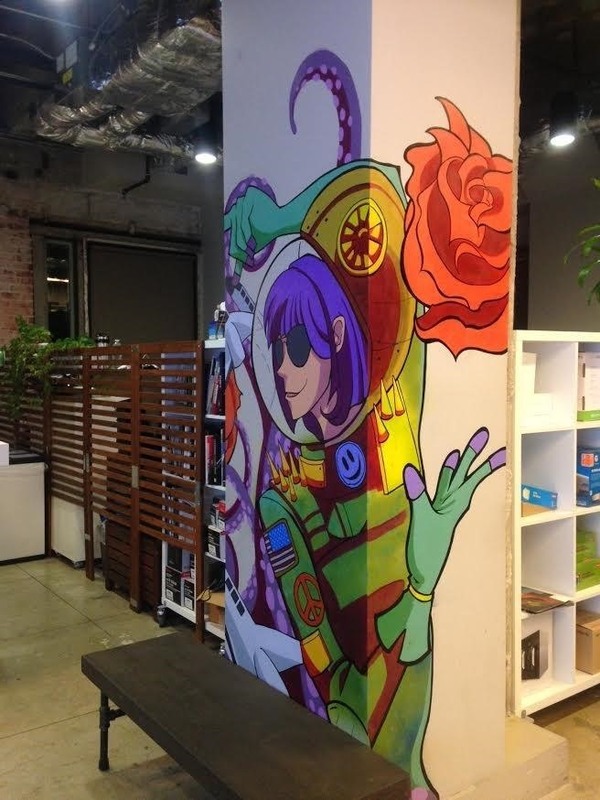 When my supervisor (Ben Grossmann) saw me using the HoloLens to execute the mural, he asked if I'd like to make the technology publicly available as an app. I was thrilled and accepted right away. NR: How long did it take to get to a point you felt comfortable releasing it? Actualizing this project took several weeks as we continually reinvented the UX, changed the scope of the project or refined some pesky mathematical inconsistencies. We finally knew it was done when our ideas for iterations started to include entire new features, the likes of which would be more appropriate for a Version 2 than an initial release. NR: I see, prior to working at Magnopus's you were in the special effects field. While the two positions in many ways are very interchangeable, how much Unity experience did you have before starting to work on HoloLens? I have been working in Unity since December 2015 (a n00b! ); I started working in HoloLens in March or April of 2016. I haven't found any specific secret-weapon resources beyond the Holographic Academy and the Unity Forums. I have said it before, do not be scared to let the designers go down the odd rabbit hole from time to time. Everything in moderation, of course, but If you are lucky, they may just come back with something special and new for the world to use.